Signs are a valuable object for many different forms of advertising. Whether you are looking to improve the amount of business you receive or attract passersby, a LED marquee sign might be the missing piece to your advertising strategy. 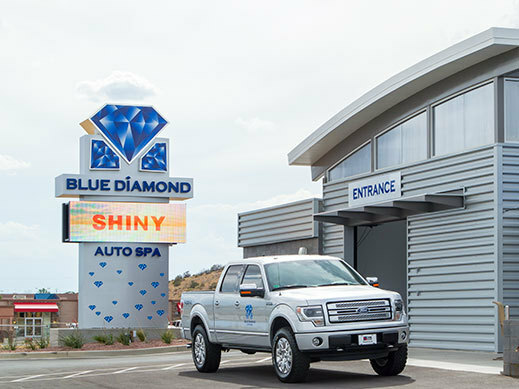 If you are looking for an interchangeable sign that is unique and attractive, consider stopping by RAM Studios Signs in Farmington, NM to discuss your options and find the right sign for you! Marquee signs began as a simple sign that had interchangeable letters that required manual changing. Today, these signs are still used in establishments such as movie theaters and fast food restaurants; however, advancements in the original marquee board have led to an LED version that is more versatile. LED marquee signs are also known as reader boards, electronic signs or digital displays. This style of sign is the most popular and easily recognizable of the sign types, and provides a heightened sense of versatility. Opting to use a LED marquee sign has several advantages among other signage. First off, it is possible to change the message as often as necessary. Unlike the traditional method of manually changing each letter of the sign, the entire message can be changed instantly from the comfort of your office. With an LED marquee sign, you also have more display options that go past text. Video and animation elements enhance the appearances on the marquee sign and stand out better than traditional text. Lastly, LED marquee signs save on energy costs and avoid unnecessary maintenance. LED signs are made of highly efficient elements that result in a low-power sign, but are brighter than neon and filament bulbs. LED signs typically have a decade lifespan, meaning less bulb replacement. Even if a handful of bulbs do go out, LED signs are comprised of hundreds of thousands of lights, reducing the possibility of someone noticing. Who benefits from marquee signs? LED marquee signs are an excellent option for businesses. Unlike standard signage, marquee signs can promote timely sales as well as advertise any awards that a business has received recently. 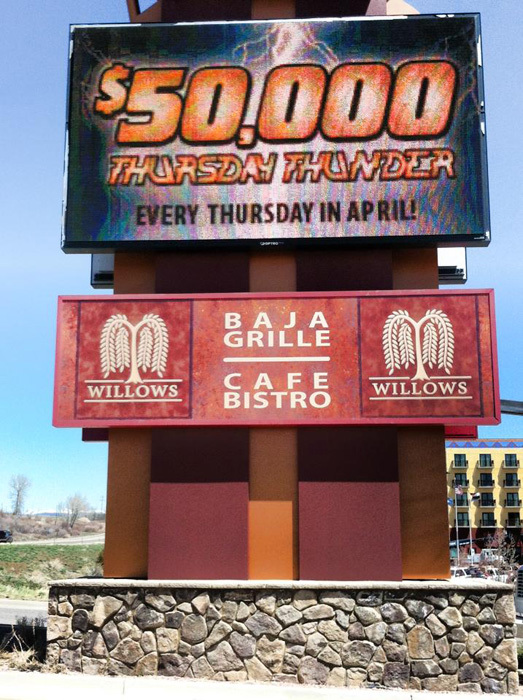 LED marquee signs are also great for showing employee appreciation to the community. Promote school activities or other important announcements with an LED marquee sign. This is great for anything from school sports to theater plays. It also provides the opportunity to recognize student achievements. Community centers and churches are common gathering places, which is why having an LED marquee sign proves beneficial for these establishments. Notify passersby of upcoming events, an ideal strategy during the holidays when many different activities are taking place. LED marquee signs are also ideal for displaying different gathering and service times. The many ways in which a LED marquee sign can be used make it a great option for your advertisement strategy. 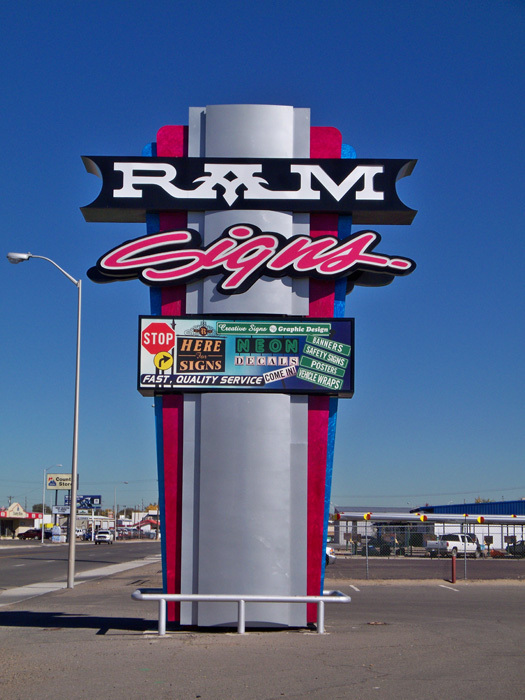 When you are ready to switch up your signage or install a brand new LED marquee sign, RAM Studios Signs will be ready to take on your project.